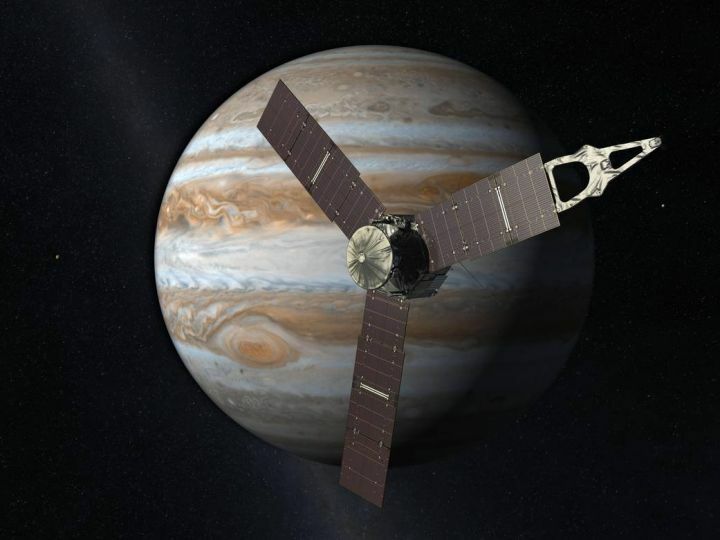 June 13, 2016 – The public is invited to a free talk called “The Juno Mission to Jupiter,” presented by John (Jack) Connerney, at the Mary Pickford Theater (3rd Floor, James Madison Building, Library of Congress, Washington, D.C.) on Thursday, June 23, from 11:30 a.m. to 12:30 p.m. EDT. Connerney is an astrophysicist at NASA’s Goddard Space Flight Center in Greenbelt, Maryland. He is the deputy principal investigator for the Juno mission, and lead for the magnetometer investigation. The Juno spacecraft, launched in 2011 and arriving at Jupiter on July 4, 2016, will orbit the planet for about 18 months to study the origin and evolution of Jupiter and deepen our understanding of the solar system’s beginnings. Exploring Jupiter’s magnetosphere from a unique vantage point above the gas giant’s poles, traversing the auroral ovals – Jupiter’s northern and southern lights – providing new insights about the planet’s enormous magnetosphere and powerful aurorae. The Library of Congress is the nation’s oldest federal cultural institution and the largest library in the world and holds nearly 151.8 million items in various languages, disciplines and formats. The library serves Congress and the nation both on-site in its reading rooms on Capitol Hill and through its award-winning website at www.loc.gov. For inquiries about this or upcoming talks at the Library of Congress, the public can contact the LOC Science, Technology and Business Division at 202-707-5664. ADA accommodations should be requested five business days in advance at 202-707-6382 (voice/tty) or ada@loc.gov.